As in every town, disease and illness in Westford was inevitable. 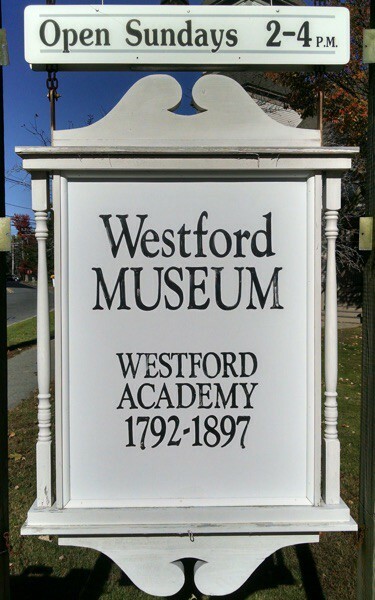 From 1850-1868 the #1 cause of death in Westford was consumption, the #2 cause was old age, and the #3 cause was Scarlet Fever. Life expectancy was approximately forty years of age. Fortunately Westford had a reliable doctor for treatment. 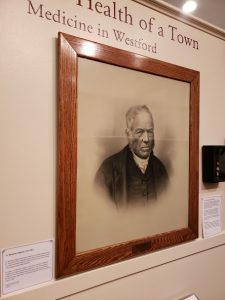 Dr. Benjamin Osgood served as Westford’s Doctor from 1812 until his death in 1863. He studied medicine in Groton under Dr. Amos Bancroft. Dr. Osgood began his practice in 1804 in Littleton until he eventually moved to Westford and remained for the rest of his life. He lived in the center of town where the fire station is currently located. These saddlebags, implements, and medicine bottles were those belonging to Dr. Osgood. He used them while making house calls and visits to treat the ill in Westford’s poorhouse.